Easyparts from Holland - prices in Euros. also supplies Yamaha, Honda and many others. Ultra LEDs for all manner of bulbs - not only automotive. 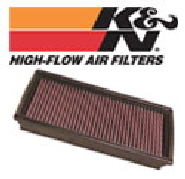 YB Filters for K&N lifelong elements.